Riverheart Family Dentistry proudly offers painless root canals as part of our general dental care services to patients in O'Fallon and the surrounding areas. Root canal therapy, or endodontics, is a procedure that can save a tooth from extensive decay, severe damage or painful infection. Dr. Schwarz is highly skilled and knowledgeable when it comes to root canal therapy. You can trust that our office uses the latest dental techniques and technology to successfully restore your smile in the most comfortable and convenient ways possible. While a cavity is the result of decay on the enamel of the tooth, it can penetrate deeper into the center of the tooth if it is not treated (or filled). This can cause discomfort and extensive damage to your tooth structure. A root canal is the treatment of choice to help patients avoid tooth extraction and restore their natural tooth. It is an unfortunate misconception that a root canal is painful. With today's modern advancements in dentistry, a root canal is similar to having a cavity filled, producing only minimal pain. Furthermore, a root canal may be the only procedure that can bring a patient out of pain from an infected tooth. 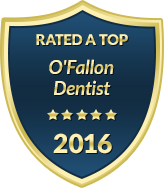 Our office goes above and beyond to help our patients feel more relaxed during their dental visits. In fact, patient comfort is at the hallmark of how we execute dentistry. We proudly offer comfort amenities throughout our office as well as sedation dentistry to help you fully relax while you are in the dental chair. During the procedure, Dr. Schwarz will remove the infected pulp from the tooth. Next, the tooth canal is meticulously cleaned and reshaped before it is sealed with a strengthening filler. The last step of your root canal therapy will be the placement of a permanent restoration, such as a dental crown. This completes a highly successful endodontic treatment that can save your tooth and restore it to its natural shape, color and integrity. At Riverheart Family Dentistry, we are known for providing root canal treatments that provide a long-term solution for patients who have severe decay or damage. To learn more about our painless root canal treatments, please contact our office today to schedule a consultation with Dr. Schwarz. We believe every patient deserves to have a comfortable, confident and healthy smile through all stages of life. For your family's convenience, we offer early morning and evening appointment times throughout the week.